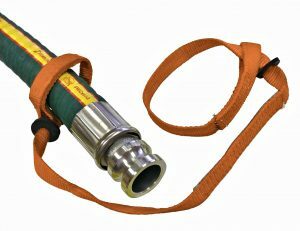 Hose Safety Whip Checks should be installed in all pressurized hose applications to keep operators and job sites safe. 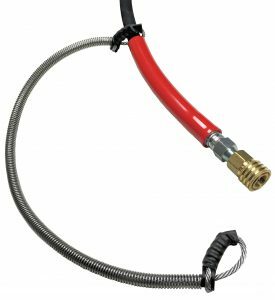 To prevent serious injury due to hose or coupling failure, add a Whip Check at each hose connection and from equipment / compressor to the hose. 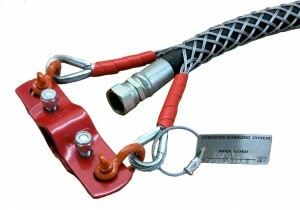 Whip checks should be installed in the fully extended position (no slack) for proper safety assurance. 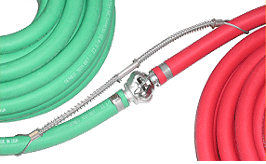 Spring-loaded loops easily adjust to slip over the couplings for a firm grip on the hose. 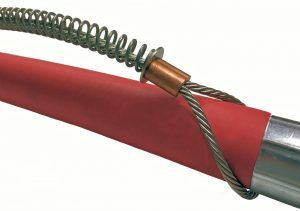 Also known as whip arrestors or hose choker cables, these cables are a necessity for pneumatic supply hose service.